Three weeks ago I embarked on a 15 day trip to the land of the rising sun: Japan. The trip was a combination of some personal time and conferences. I must say that Kyoto was by far the most eye opening and awe inspiring place during this voyage. While visiting Fushimi Inari Taisha make sure to bring comfy shoes and water, walk the whole path around Mt. Inari, you won’t be disappointed. Granted there are other incredible places to visit in the country, very much looking forward to the next opportunity to discover those gems. The first stop in the conference series was JOnsen, a brand new unconference centered in Java technologies. A third of the participants came from the Japanese community, which is quite good considering this is the inaugural edition. We hope we can get more members of the Japanese community to join the event next time. You can find photos and session summaries at the JOnsen website. All in all the unconference did not disappoint, there were lots of interesting topics discussed, “hallway” conversations and plenty of opportunities to share work-related experiences and war-stories with our Japanase fellows. Sadly we (as the rest of the world) don’t get to hear from the Japanese communities much for several reasons, mainly due to the language barrier and the (apparently) inherent shy nature of the Japanese people. This was indeed an incredible experience. The cherry on top was the fact that the conference took place at an onsen (hot-spring), which is why it received the moniker “the most relaxed unconference” by its (un)organizers. The second and third stops happened back to back in Tokyo: Java Day Tokyo and Oracle Code Tokyo. There was a Hackergarten session running at both events, with one of the outcomes being the initial release of the jdeps-gradle-plugin (100% made in Japan), a plugin that checks the project’s code and its dependencies using the jdeps tool; quite useful to figure out if the project is ready for JDK9. Had the honor to appear at a special closing panel at Java Day Tokyo, where Java Champions and Japanese Java community members discussed working culture both inside and outside Japan. 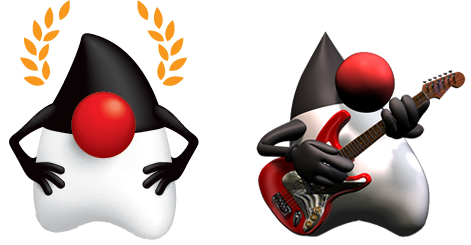 The last event was JJUG CCC Spring, an event fully backed by the Japanese Java community, organized by JJUG members and volunteers. My Java libraries you can’t afford to miss presentation was well received. I wish I had more time to interact with the audience after the talk but the event’s content was so interesting for everyone that there were hardly any people on the hallways. A good problem to have as people were really engaged by the presentations! Overall I had a great time during these past 15 days. Being able to reconnect with my Japanese peers (@nobeans from Groovyserv for example, and fellow Java Champions Yuichi Sakuraba and Yoshio Terada) was a big plus. Looking forward to the next opportunity to share knowledge again.